Key difference: The key difference between the two terms is that Taoism is a religion and philosophy, whereas Zen is a method or path to attain Buddhism. Although, they both originated in China, and Taoism influenced the path of Zen, they completely differ in their technique and intent in achieving the path for their goals. Taoism is defined as both a philosophy and a religion. In Chinese, the term ‘Tao’ means ‘the way’ or ‘the path’ of life. Tao is considered to be the driving force behind everything that exists. It is the force that flows through all life forms in the universe, and binds all living things together. 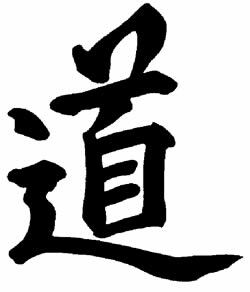 The objective of Taoism is for a person to align harmoniously with the ‘Tao’ i.e. to achieve immortality by taking the right path in life. Similarly, Zen Buddhism emphasizes on ‘a way of life’ that is based on the personal, spiritual development and the ability to understand the true nature of life. 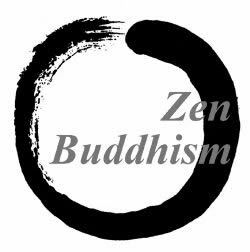 Zen is a form of Mahayana Buddhism that practices the teachings of ‘the path of enlightenment’. The teachings emphasizes on the pure state of mind that can help in realizing the true and inner nature of one. Though, the objective of Mahayana (Zen) Buddhism is to achieve enlightenment through the means of meditation. Thus, from the above explanation, it is clear that both the religions have the same principle of achieving the ultimate goal of immortality by being in harmony with nature and the universe. Also, Zen originated under the influence of Taoism, Zen has its basic principles and roots of Buddhism. Which is why, often the terms ‘Taoism’ and ‘Zen’ are confused with each other. Nonetheless, the goal of both the philosophies is analogous, but the path of attaining this ultimate goal is quite different. The techniques and intent used in the two ideologies is very diverse, and further differences regarding these two can be read in the table below. It is defined as the follower of the Tao(or 'the Way'). It is defined as the followers of Buddha teachings. Taoists believe that life is good and lay emphasis on the body. This life is suffering, and the only way to escape from this suffering is to dismiss one's cravings and ignorance by practicing the Eightfold Path. The intent is to focus on the individual qualities such as longevity, harmony, health, or stillness. It does not include the promise to ease the sufferings of the world. It emphasizes on attaining greater harmony with the world. The intent is to stop being selfish and start thinking and focusing on genuinely helping others. It emphasizes on attaining nirvana through mind or meditation. It doesn’t place much emphasis on cosmological or ontological explanation. To gain balance in life. To refrain from taking that which is not freely given. To refrain from intoxicants which lead to loss of mind-fulness.